Let's face it, a boat is not the place for subdued, dignified, audiophile-like music appreciation. Between engines, wind, water, seagulls, radio chatter, and your fun-loving friends, you're lucky to hear anything at all. If your day on the water includes activities like water skiing and wakeboarding, the challenge is multiplied. That said, being on a boat doesn't have to mean tinny, screechy sound from cheap equipment. 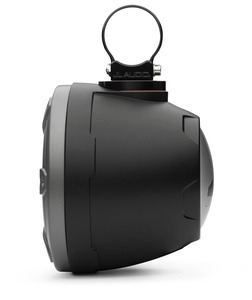 If you're going to crank it up (and you are), your music might as well sound as good as it can. 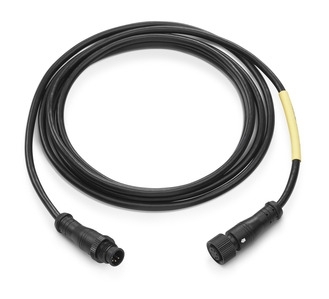 That's why so many boaters are investing in marine-rated receivers, speakers, subwoofers, and amplifiers. If you're serious about sound, an equalizer is the next logical step. 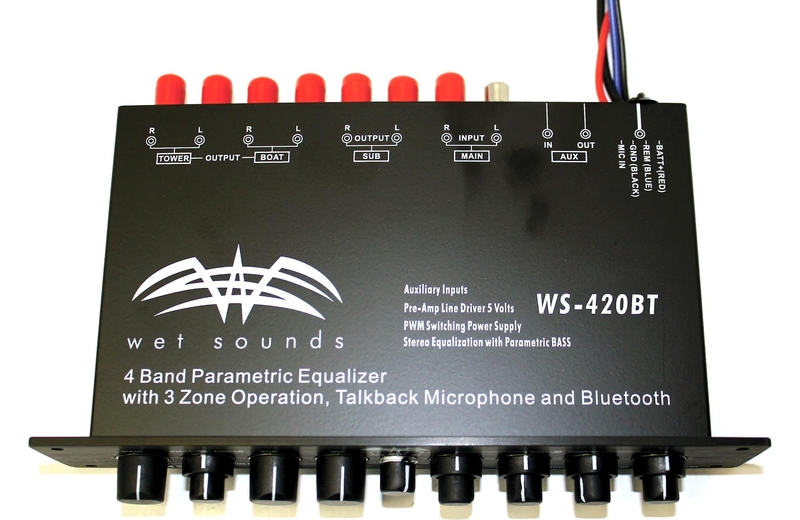 And this WS-420 BT equalizer from Wet Sounds offers Bluetooth connectivity, plenty of inputs, plus public address capability. 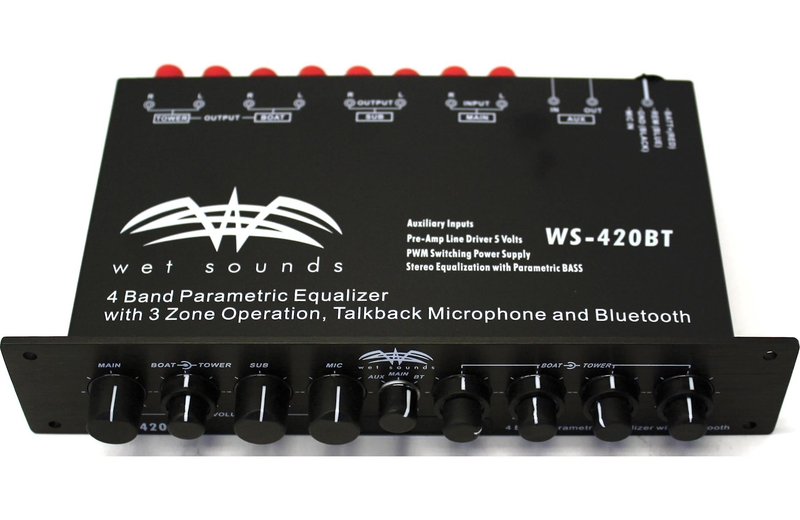 The Wet Sounds WS-420 BT offers plenty of inputs, plus PA capability. 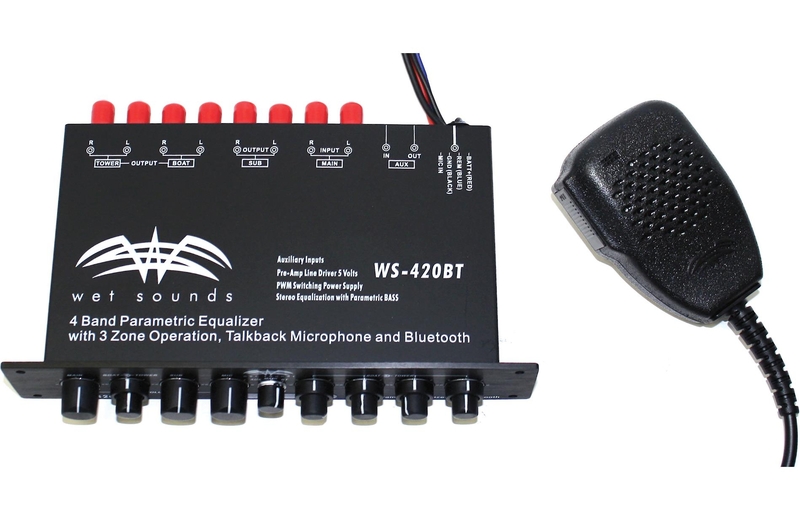 The Wet Sounds WS-420 BT 4-band equalizer lets you take charge of your marine audio system. 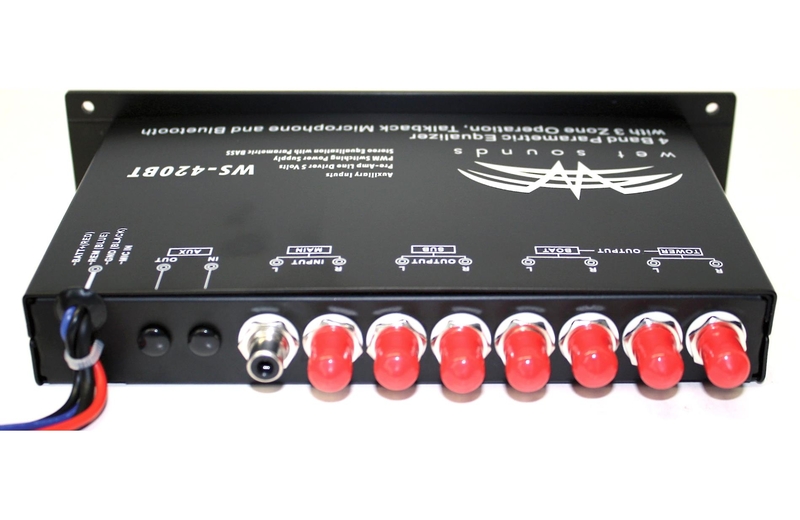 This equalizer/controller packs a lot of features into a compact half-DIN (1" tall) chassis. 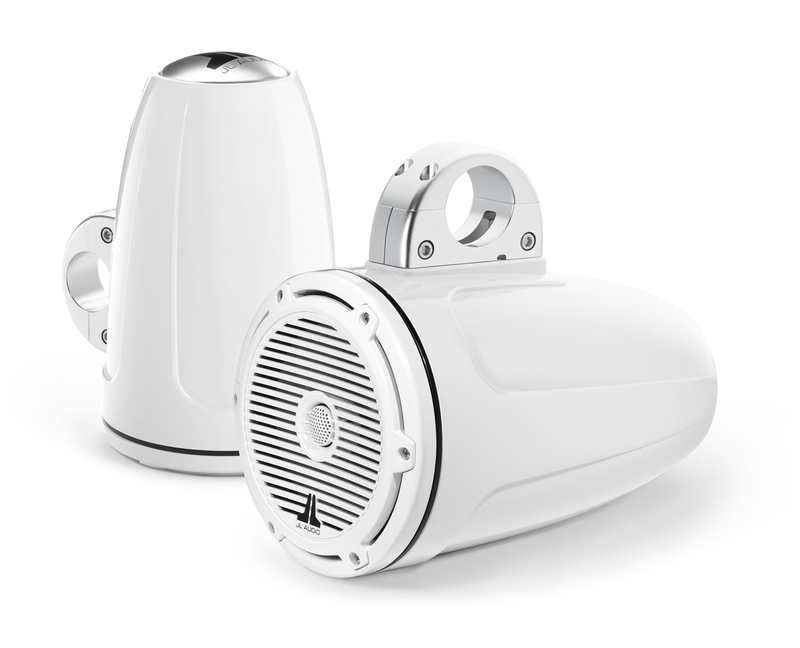 The WS-420 BT actually includes two separate equalizers, so you can control the volume and fine-tune the sound of your tower speakers and cabin speakers independently. 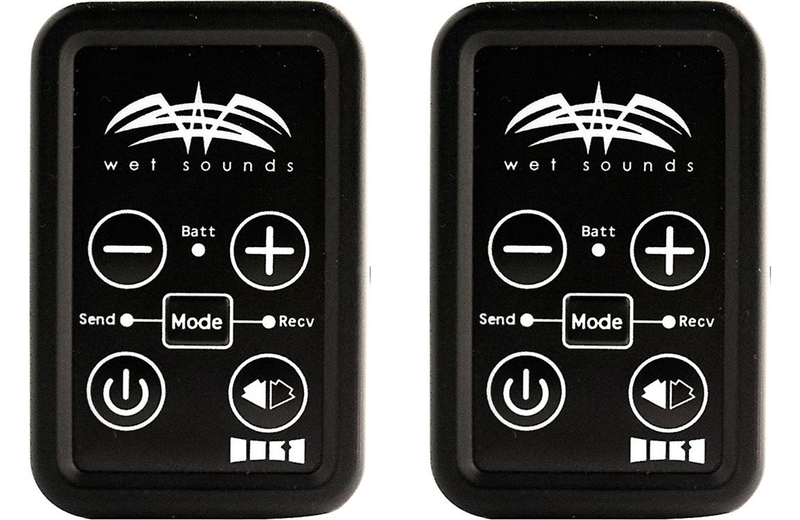 You also get independent bass level control, so you can adjust your subwoofer, along with a source selector that chooses between the main source, auxiliary input, or Bluetooth input. 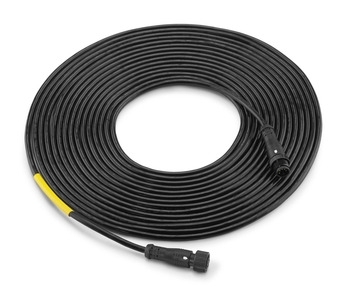 If you're towing skiiers or wakeboarders, the talk-back microphone will come in very handy. The mic's volume is separate from the music volume, so you can adjust it to suit your needs when it's time to make an announcement. When you key the mic, which runs through the tower speakers, the music is muted. When you release the key, the music resumes at its previous level. 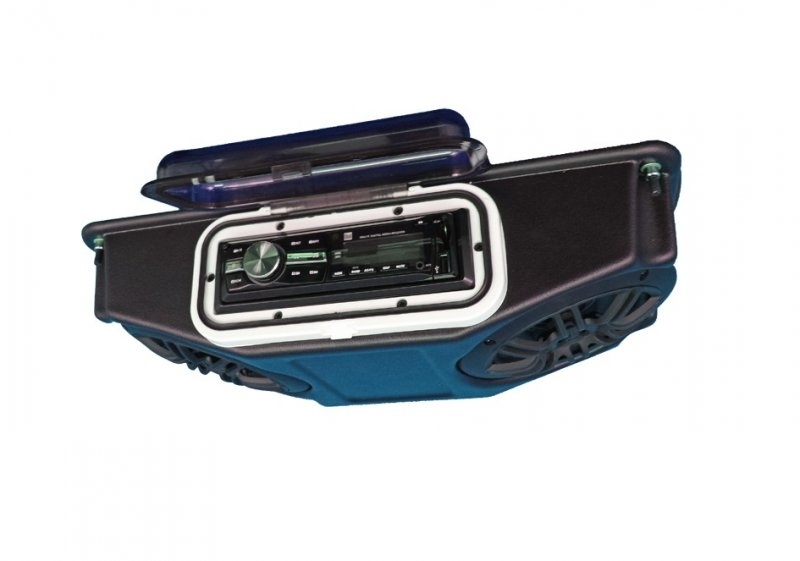 Built-in Bluetooth gives you another connectivity option when you want to play music from phones and other devices, while the Boat Link system (a Wet Sounds exclusive) lets you link up your system with your WS-420 BT-equipped boating buddies so you can all enjoy the same music. Designed to survive the demands of life on the water, this rugged equalizer won't succumb to moisture and broiling sunlight. A conformal-coated circuit board protects the internals from corrosion and damage.